Lansing lawmakers have introduced legislation that would allow certain people to carry tasers in “no-carry” zones. Senate Bills 572 and 573 would allow Concealed Pistol License holders to carry a taser into areas that don’t allow concealed weapons; places like schools. Republican State Senator, Mike Green said the bill would allow adults to protect themselves and younger individuals in “no-carry” zones. “So people who work there or even there visiting have no way to defend themselves from someone that wants to create a crime against them. What we’re saying now is if you don’t want a gun there, then lets put tasers into these restricted areas,” Green said. The bills have been referred to the Senate Judiciary Committee for consideration. The Republican leader in the state Senate said he’s not committed to taking up a measure that would restrict abortion coverage. The group Right to Life of Michigan turned in more than 315-thousand signatures last week to send the measure to the Legislature. It would ban insurance companies from offering standard health plans that include abortion coverage. Women would have to purchase the coverage as a separate rider. Senate Majority Leader Randy Richardville said he doesn’t consider the proposal a top priority. “We’re busy. We’ve got a lot of things going on. So we’ll look at it. Right to Life has been an organization that I’ve worked closely with over the years and will continue to. So we’ll have discussions,” Richardville said. Right to Life’s signatures still need to be certified by a state board. If that happens, lawmakers will have 40 days to approve the law. Without legislative approval, the measure would go before Michigan voters. 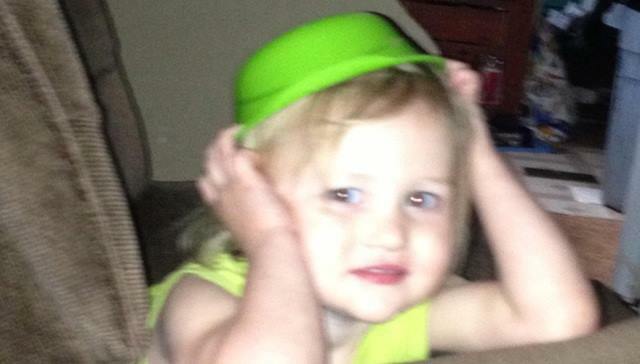 PARIS, MI — An Amber Alert has been issued for a missing 2-year-old girl in Newaygo County’s Paris Township. Amber Smith was last seen around 1:30pm Tuesday at the home of her parents, near the 8000 block of East 13 Mile Road. According to the Newaygo County Sheriff’s Department, she suffers from a severe mental / physical disability. Amber Smith is 2-years-old, 2 feet 6 inches tall, 25 pounds and has hazel eyes and blonde or strawberry hair. She was wearing a black halter top with a pink bow tie, possibly blue jeans, and no shoes. She is believed to be in extreme danger. Anyone with information is asked to immediately call 911, or call the Newaygo County Sheriff’s Office at 231-689-6623. Governor Rick Snyder said extending Medicaid to more working poor people will save the state a lot of money, maybe $130 million next year. That begs the question of what to do with the budget windfall. The Snyder administration said the Medicaid expansion to 320,000 working poor people will help reduce uncompensated hospital care and other things that drive up the cost of health care. But the state should also see direct savings by shifting costs like prisoner mental health services to the Medicaid program. “So that really allows dollars to be freed up for other budgetary uses,” said Snyder. The state could use some portion of that to add to the state’s “rainy day fund,” which was depleted through the lengthy recession. More money in the bank makes Wall Street happy and could reduce the state’s borrowing costs. But the governor also has some other ideas in mind. For one thing, he’d like to use at least some of the money for transportation. “I was supportive of having the concept of roads or transportation on the table because we do need to invest more in roads,” he said, arguing that transportation is already under-funded and fixing that infrastructure grows steadily more expensive. But even if the entire estimated $130 million in savings were turned over to transportation, that would still be far less than the $1.2 billion the governor said is needed. Thus far, the Legislature has not warmed up to some of the other ideas for raising money for roads and transportation, such as an increase in the state’s 6 percent sales tax or higher vehicle registration fees. Fisheries biologists and technicians from Northern Michigan and Ontario are counting fish this month in the St. Mary’s River. They’re hoping to get a snapshot of the various species in the river system. Biologists said the survey is necessary to manage fish communities, which, so far, have remained stable in this popular fishing destination. The biologists are collecting fish as part of a broad study of cold water fish populations in the St. Mary’s River. With the smell of fresh fish in the air and the sound of the river and cars passing outside a fish cleaning station in Sault Ste. Marie Wednesday, DNR biologist Neal Godby explained what they found in their assigned area, Munuscong Lake. “We found a pretty good diversity. 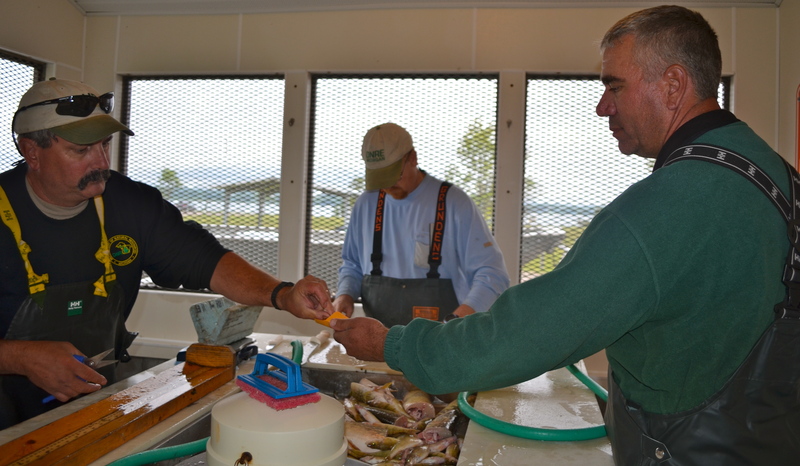 Lots of small yellow perch, rock bass and small mouth bass, northern pike. We saw one small muskie and four small lake sturgeon, about in the 20-36 inch range,” Godby said. The St. Mary’s river is geographically a small part of Lake Huron waters, but recreationally, it’s huge. It sees 36% of total sport fishing for the watershed. DNR Biologists said the surveys will inform critical decisions related to: sport fish regulations, fish stocking, and shared fisheries across state, tribal and national boundaries. International cooperation in the study may lead to more streamlined sport fishing regulations in the future. The City of Saginaw won’t be awakened in the middle the night by the sound of fireworks exploding anymore. Monday the city council passed a ban on overnight fireworks. The City Clerk said many residents complained about fireworks going off late at night and very early in the morning. Under the new ordinance, fireworks are banned from 1 a.m. to 8 a.m. everyday including the fourth of July. Violators will be issued a civil infraction with a maximum fine of $500.